Dr. Danielle Burney, our reliable dentist from the Williston clinic, discusses the treatment process of Invisalign in Williston, FL, and all of our locations. The initial appointment serves two important purposes. First, it is an opportunity to ask our reliable dentist the things you want to know about this dental treatment option. Most importantly, we can perform a comprehensive dental exam and determine if this technique is appropriate for your needs. Although Invisalign can treat various alignment problems for all ages, you may have other symptoms that require other specific treatments. 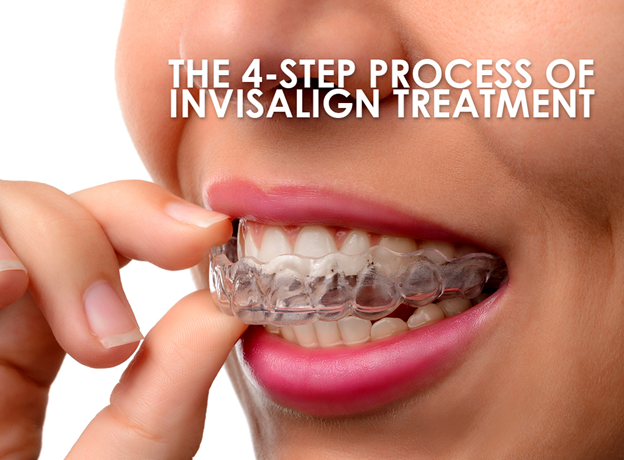 Once we determine that you are a candidate for Invisalign, we will plan your individualized treatment regimen. We may take digital x-ray exans, photographs, and molded impressions of your teeth. They will serve as our reference when creating your aligners. Using Invisalign software, we can forecast how your teeth will change over time with the custom aligners. The length of treatment still depends upon the complexity of the alignment correction. Once we have the necessary information, we will fill forward them to Align Technology, Inc. Once the virtual modeling of your teeth is complete, an Invisalign technician will create an animation showing a treatment plan for you. Once the aligners arrive, special fasteners may be necessary. We will attach them temporarily to your teeth, so that you can easily clip in your aligners. We may replace them every two weeks, depending on your needs. The success rate primarily depends on the doctor’s level of skill and training. Rest assured that orthodontists are experienced in various modes of dental care, from correcting of misaligned teeth to installing dental implants in Williston, FL, and our many other locations. We recommend wearing them for up to 22 hours every day. You may remove your custom aligners when eating or brushing your teeth. Another great benefit of Invisalign is its plastic material is almost undetectable. People will never know you are wearing them. Regular dental visits are advisable, as with any other dental care. This way, we can monitor the progress of your teeth correction. We may recommend modifying your aligners every couple of weeks, depending on your needs. Our dentists have the expertise and instruments to provide for your orthodontic needs. From oral surgery to teeth whitening in Williston, FL, and the local areas, we can help you. Fill out our form, so we can get started on your Invisalign treatment process.